6MM Gold Steel 1 Row Hip Hop Tennis Chain. 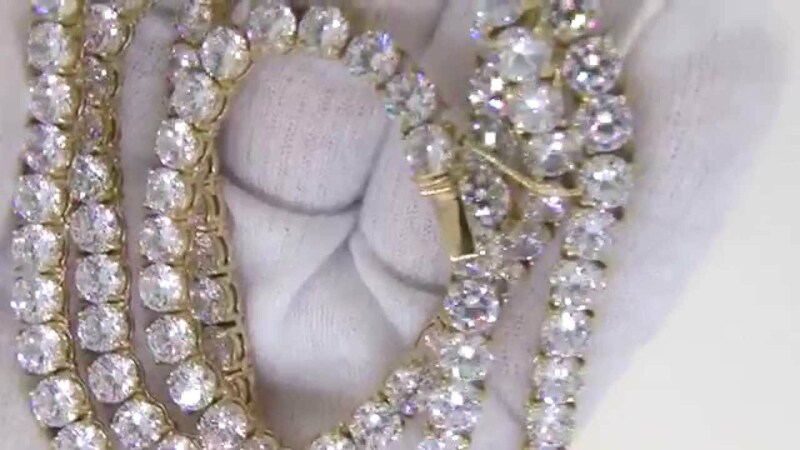 Quality crafted Tennis Chain with 6MM Diameter Simulated Diamond CZ Stones each hand set with 4 prongs. Made with Stainless Steel so it is strong and sturdy and IP Gold plated for the most realistic durable Gold Shine. Order Today!